While at Trader Joe’s last summer on a cross-border run, I did a scan for the most expensive red wine I could buy and this was the one- a whopping $20. “Go big or go home”, I thought. I went home and now that I’ve opened it, I wish I’d bought more. From Napa’s Mount Veeder Winery and grown at an elevation of between 300-490m on the slopes of the Mayacamus Mountains, this wine sells for $40 at the winery. Heck, if you actually go to the Franciscan Estate visitor centre and do a tasting there (the two wineries are linked and share a winemaker), the tasting alone will set you back $20. This Trader Joe’s version is bottled in a very light weight bottle – must be to keep down those shipping costs and thus, the price of the wine. Sounds good to me. The wine is deep ruby with big legs and on the nose it’s loaded with blackberry, currant, black cherry, cedar and tobacco leaf, baking spices and strong minerality. The blackberry fairly leaps from the glass. On the palate it’s dry but offers an impression of residual sugar. The acidity is medium plus and the tannins are silky smooth, but the alcohol is high. The flavours are medium plus and continue the promise shown on the nose – blackberry, ripe, purple cherry and violets, lots of vanilla, tobacco and cedar frond with some dark chocolate. The finish is medium plus. This is a WSET Very Good wine – there is some slight imbalance with the sweetness and heavy vanilla. However, it’s got great aromas, fruit and the tannins are velvety and drinking perfectly. Drink this now – don’t lay down this deal of a wine for more than 1-2 more years. 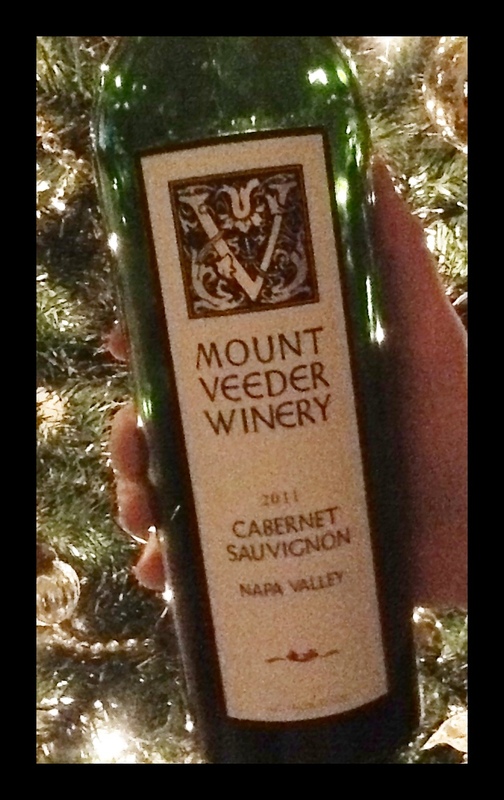 This entry was posted in Cabernet Sauvignon / Blends, California, OTHER, RED and tagged Cabernet Sauvignon, california, Mount Veeder, napa valley, red wine, Trader Joes. Bookmark the permalink.